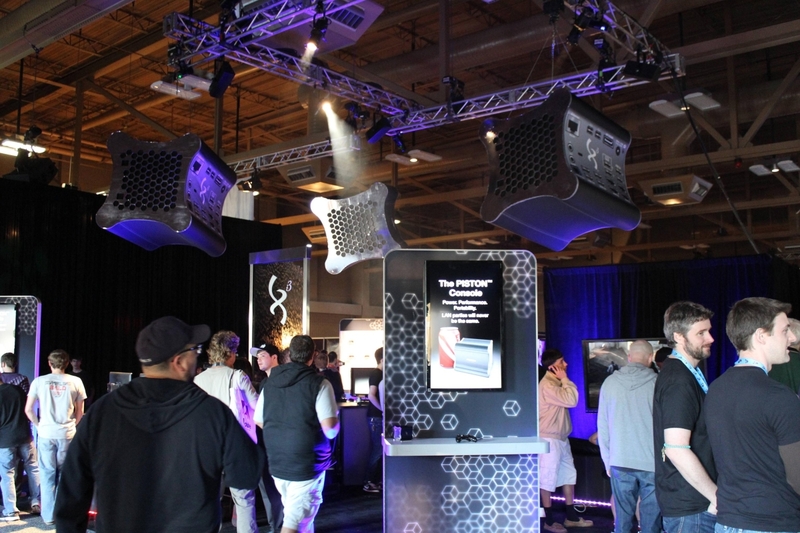 As they do every year, tons of companies flocked to Austin, TX to show off the latest and greatest in tech to the world at South by Southwest. Though the gaming portion of the show isn’t the biggest or most prominent, the presence of the industry is growing with a few industry giants. I was lucky enough to pop by the show this year and see what the hubbub was about. 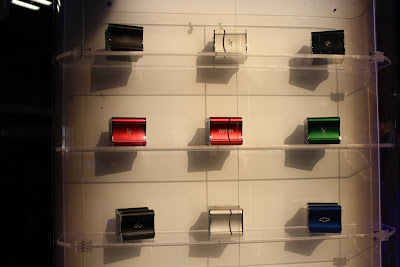 Though I wasn’t expecting much of the budding gamer show, both Nintendo and Xi3 offered far more than I bargained for. 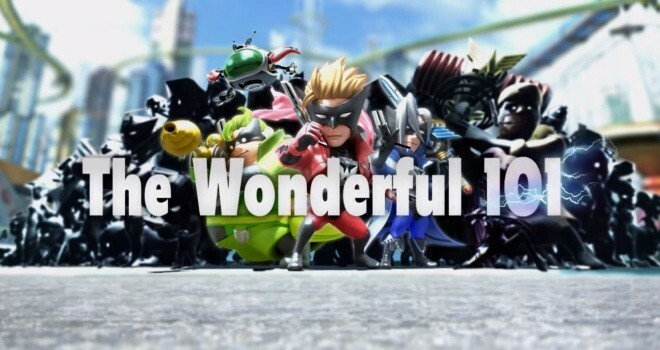 The Wii U has been out for four some-odd months, but there aren’t any really huge, drawing titles yet. Though console sales are marginally successful and a handful of exclusives are alluring, there’s no real “I HAVE TO BUY THIS” title yet. As such, I wasn’t expecting much going into Nintendo’s large booth positioned right at the entrance, but I was wowed a few titles that weren’t even on my radar. 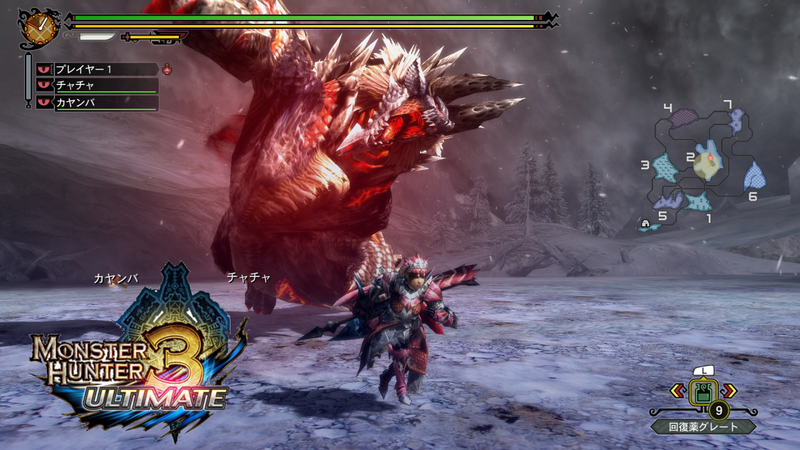 If you like Monster Hunter, chances are you’ve at least heard of the latest and greatest revamp of the third game in the series. The first and most striking thing is the graphics. Holy wow, the graphics are great. Crisp textures, high definition resolution, and effects that really bring the series up to where it belongs – on a powerful console running in full HD resolution. Even my annoying AI sidekicks were cuter than in the previous games. The gameplay is mostly the same, but there are more weapon class options, more weapon tiers, and a revamped inventory system. When using the Wii U gamepad, you simply click on the item to use and you use it, no menu scrolling, no required forethought, just quick item access. You have the option of setting your on-hand item still, but why would you when you can clearly see what you want on the gamepad and click it? The other great thing about this game is that it’s not only on Wii U, it’s on 3DS as well, and the two play nice with each other by offering local, cross-platform multiplayer. Now multiple friends in the same room can go hunting together on multiple systems. The major problem with this functionality is that online play works with the Wii U, but not 3DS. With a series that emphasizes group hunts so much, you’d think they’d include this feature in the 3DS version as well, but they haven’t and have no plans to. It’s rather unfortunate and feels like a missed opportunity. Overall, the game looks great, plays well, and is a decided upgrade from previous iterations of the game. It’s definitely worth a buy. If you’re confused about this kinda-Pikmin, kinda-Viewtiful-Joe game, join the club. I had no idea what I was doing, even after playing it a few minutes. Then it all just kind of clicked. You take control of a band of heroes who recruit citizens to become heroes as well to take down an alien menace. You can rally everyone together around one person, separate them between two enemies, or come together to use special attacks. The demo I played let me have two special modes – sword and fist – that allowed for special attacks like sword smashing or giant fist punching. These moves trained our collective “battery,” but were quite powerful. It was great fun chaining together group attacks and specials to create a lethal combo for the aliens. The other interesting thing about the special modes was that they also allowed for context-sensitive actions. So for instance, you could turn into a hang glider, rope, or chain with the sword mode, and turn giant cranks with the fist mode. Taking all of this in with the controls, maps, and learning what attacks do what took time. This is not a “pick up and play” title, but it’s fairly close. After five minutes, I was a human-sword wieldin’, battery eatin’ son of a gun. This game is tons of fun from what I’ve played. The only concern I have is whether it’s still going to be as fun in hour 10 as it is in hour 2. At the moment, I’d say rent it, but after giving it a proper go, I could easily see this turning into a buy. This game is the one that surprised me the most. I’ve liked the Lego games, but they haven’t really been my cup of tea. The gameplay was fun and the humor was pretty good, but it just never clicked with me. 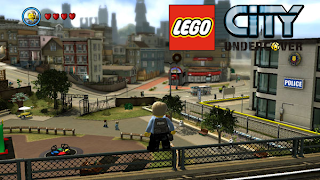 Lego City Undercover clicked with me instantly. 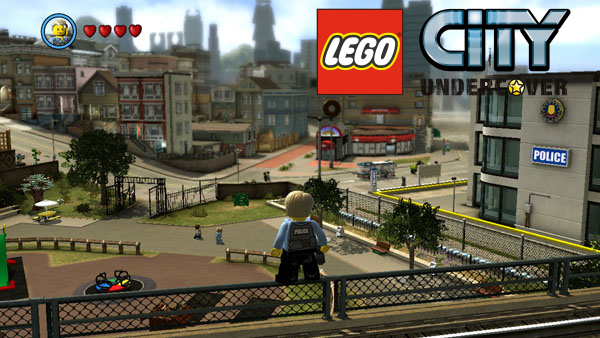 This game has been called Lego GTA. And aptly so. As Detective Chase McCain, you’ll run around Lego City catching bad guys, driving cool cars, and rebuilding justice brick by Lego brick. Lego City itself is incredibly vast, offering rich landscapes and detailed architecture. The colors are bright and vibrant, the controls for vehicles are fun and intuitive, and the ambiance is absolutely perfect for a Lego game. The thing that stands out the most about this title is the humor. You know how comedians like Brian Regan are really funny, and you realize later that it’s also family friendly? For some reason, we have a stigma associated with all-ages humor that’s really undeserved. And I’m not on a high-horse about this, I completely expected for this game to feel like it was directed at an audience younger than me, but it really wasn’t. From the opening cut scene to the murmured conversations I passed by on the street, the humor is smart, and incredibly funny. And you know that humor in cartoon shows where there’s a joke for a kid and a joke for an adult? That doesn’t happen here. All the jokes apply to all the people all the time. Whoever the writers were for this are excellent and deserve more than they’re probably getting paid. Based off of the responsive gameplay, expansive world, and refreshingly brilliant humor, I’m not only paying attention to this game, I’m buying it on release day. Ever since it was first rumored to be an official Steam Box, Xi3’s Piston has been turning heads. And for good reason. 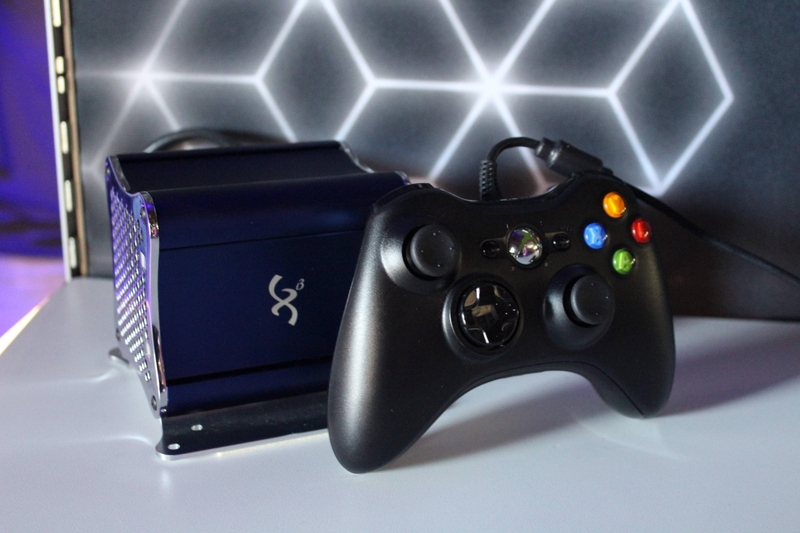 What’s not to love about an 8GB, 1080p resolution gaming, low power dynamite gaming PC that can fit in your hand? The full specs haven’t been entirely released, but what we do know is that the base model comes with a 128GB SSD, 8GB of RAM, and a 3.2 GHz Quad Core processor. In talking with one of the reps, I learned that not only is the processor an AMD APU, one of their graphics-heavy desktop processors, but it’s on a socket that AMD has committed to supporting for the next ten to twelve years. This means if you buy a Xi3 Piston, AMD has promised you can upgrade your processor at any time in the next ten years. This information is hugely significant, as it can be difficult to justify spending a ton of money on something that’s not future proofed. And you will be spending a relatively high amount of money. I was told that the base model starts at $999, but the website is listing it for $899, with upgrades to the hard drive coming in at $340 additional for the 256GB SSD, and $750 for the 512GB SSD. The specs are impressive. When compared to a current gaming rig, the Piston can hang in there with the best of them for a relatively similar price point. Not much hard drive storage for a reasonable price, but it has a few other advantages. Not only is the form factor small enough to fit two in an orange juice carton, but it draws very little power. At their booth, the Piston was playing Transformers 3 in 1080p while playing Call of Duty: Black Ops 2 at ~30 frames per second while drawing less than 25W. For comparison, that’s about as much as some monitors. And at maximum, it can only pull less than 65W. When you compare that to modern desktop systems where the PSUs are rated for 400W on average, and it’s easy to see why this is impressive. Another benefit of the low power, besides saving you money, is the heat output. Less power means less heat. While running the movie and playing the game, the console felt as warm as a hamburger straight from the drive thru. I love this system and if I had a use, or if my gaming rig needed updating, I’d purchase it plus an external drive (there’s four eSATA ports if you need more storage). Though I came to the Palmer Events Center expecting gamer-branded nonsense, indie games, and app developers trying to make a name for themselves, it seems big players in the industry are taking notice of SXSW and treating it seriously. 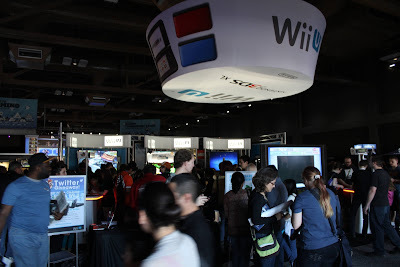 Nintendo’s great Wii U lineup coupled with Xi3’s incredible product showing marks what I believe to be a rise in the importance of SXSW as a gaming show.